The party was last minute. 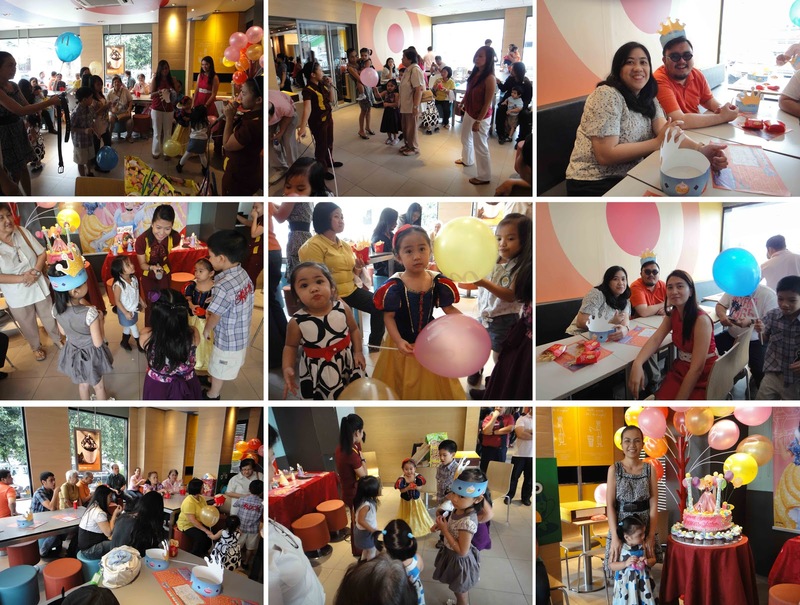 It was only two weeks away from Iya’s birthday when we decided to celebrate it in McDonald’s because of the Disney Princess theme. She’s such a little girl and has been obsessed with Disney Princesses especially Princess Aurora for the past year. So here I was reserving the place, looking for a cake, scheduling a visit to 168 and searching the internet for additional decorations. I found a template for 3D princess paper dolls in the Disney site and was cutting, gluing and assembling in my spare time. 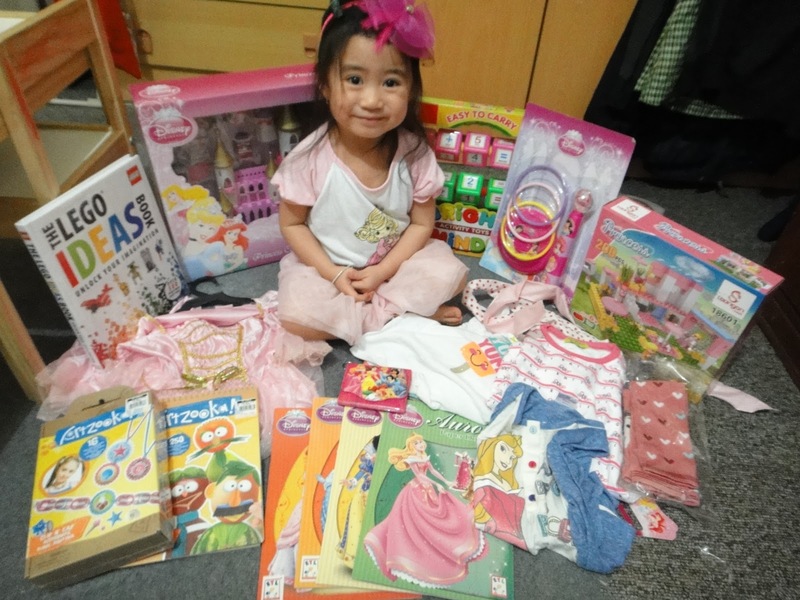 I bought loot bags and goodies in 168 at low prices allowing Iya to have a 70 pesos-per-loot bag. I was lucky with her costume because Marty bought her a Snow White gown just last year and I was waiting for a perfect time for her to use it. I was also thankful that Uncle Ryan and Marty also volunteered for her cake! It was beautiful with a large princess Aurora doll which is every little princess’s dream. We got up really early for Iya’s ballet class but because of EDSA’s road re-blocking we missed it and went directly to McDonald’s. Luckily my parents were early as well and she opened her Lolo and Lola’s gift while waiting. It also gave us plenty of time to take pictures. Pre-party pictures. Special thanks to Mar for spending her lunch break with us. Here’s the frog that I did for the game. I used my silhouette printer cutter for this (thank you ate Rouselle for lugging it around the airport teehee!). Iya and I assembled this on a Thursday night finishing until 10 pm. It turned out great after all. Party Pictures with pass the poison apple that always falls in Iya’s hands. She is Snow White after all. Iya cried when we were not included in the adult game so we did! Darn! How come in every party, when it comes to the adult games, it is the boy’s team who always lose? Lucky for us girls we did not endure the penalty. Our supposed Mascot. 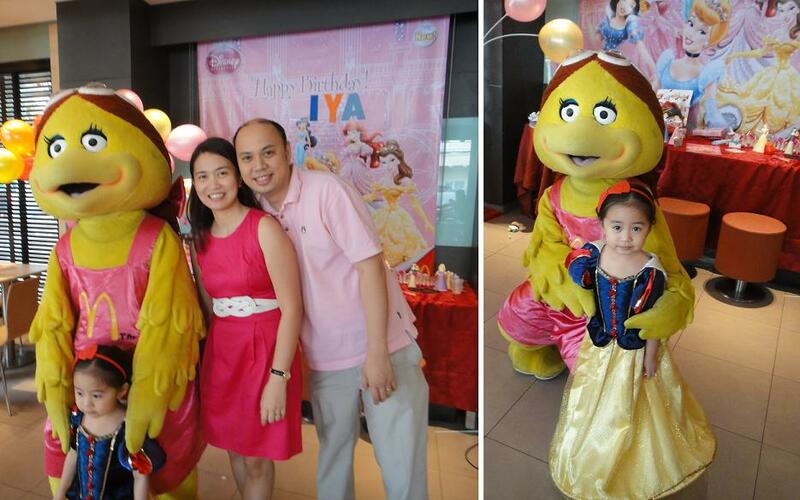 But I think it is Iya who really is our mascot for the day. 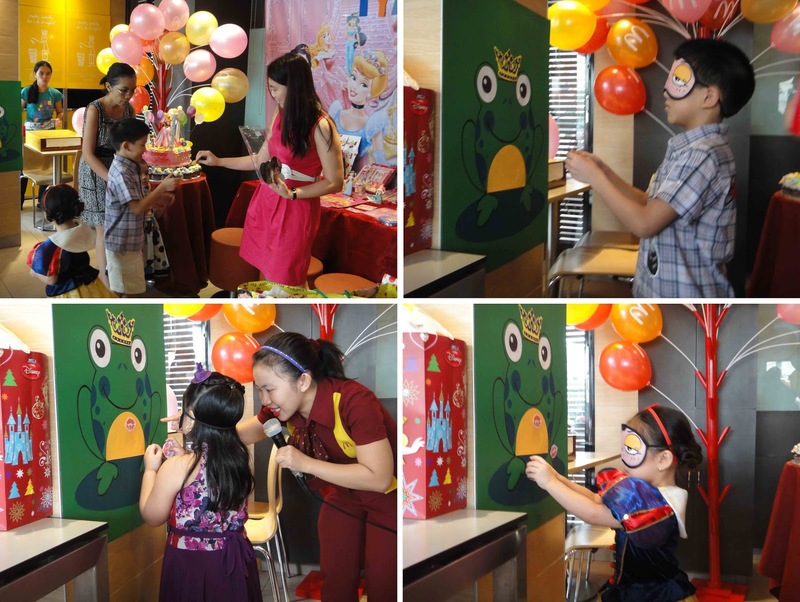 Iya enjoyed the party because she kept on jumping and openly participating in the games. Normally we Filipinos celebrate birthdays on the 1st, 7th, and 18th year so I was asking myself if I should do this. What made me go for it was the guarantee that she will have a good time. Four years old is the perfect time for enjoying the moment (unlike when she was 1) and being a great host and not being shy to join games (which will probably happen when she reaches 7). I know she wants to be a princess and luckily we can make it happen even for a little while. 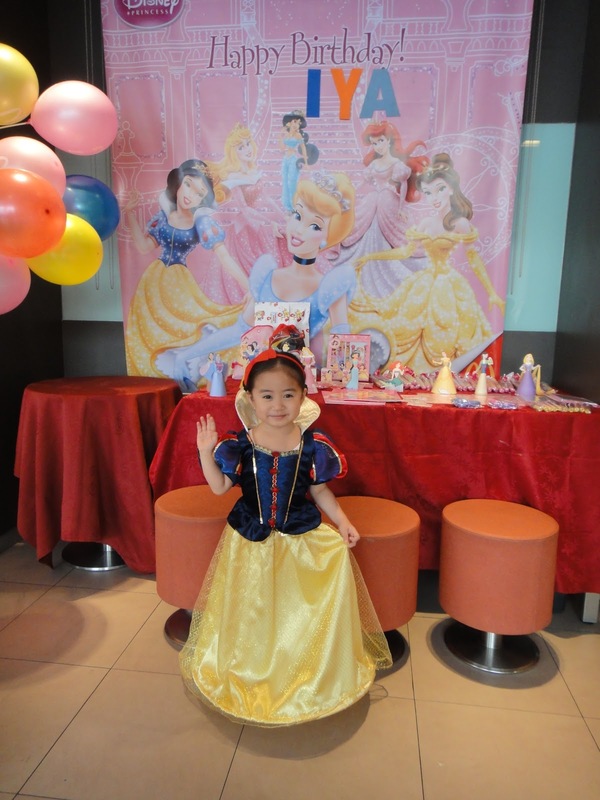 Iya made a really cute princess Aurora! I also always wanted to have a Disney princess party when I was younger.. hmmm, maybe I should have it on my next birthday. Hahaha! FINALLY! I was waiting for this post! 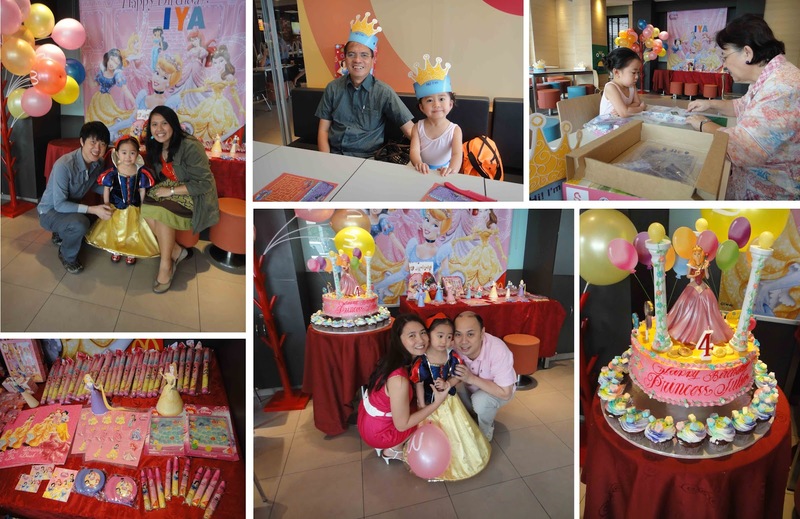 Highlight for me was Iya being reminded to endure all that comes with the glamour of being a princess! haha 🙂 Kaka-pressure! When you are old enough to read this, just be yourself and enjoy what you do, okay? 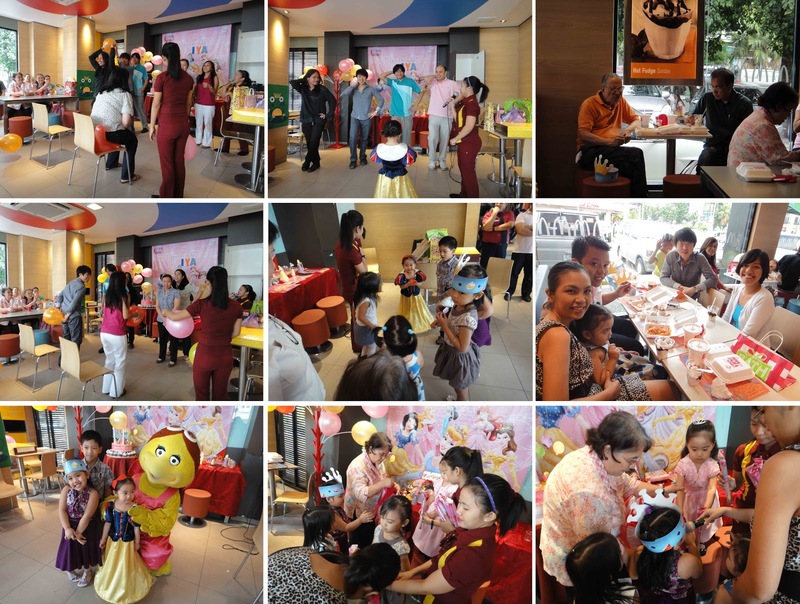 This was one wonderful 4th birthday party Iya. Thanks for all the fun and games.